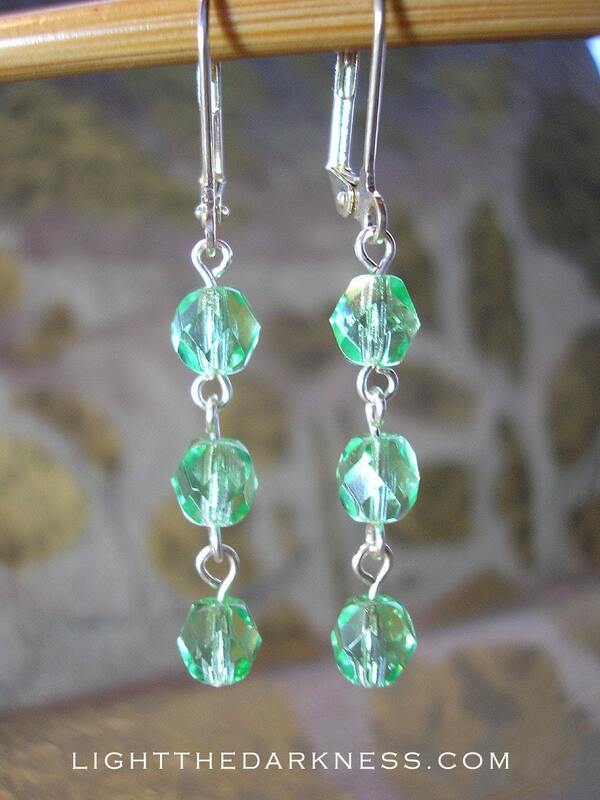 These adorable silver plated raindrop earrings in peridot green glass beads are also the birthstone for August! This entry was posted in beads, birthstone, design, earrings, glass, peridot. Bookmark the permalink.